Wide-leg, peg-leg and boyfriend. These are the styles to acquaint yourself with this winter. 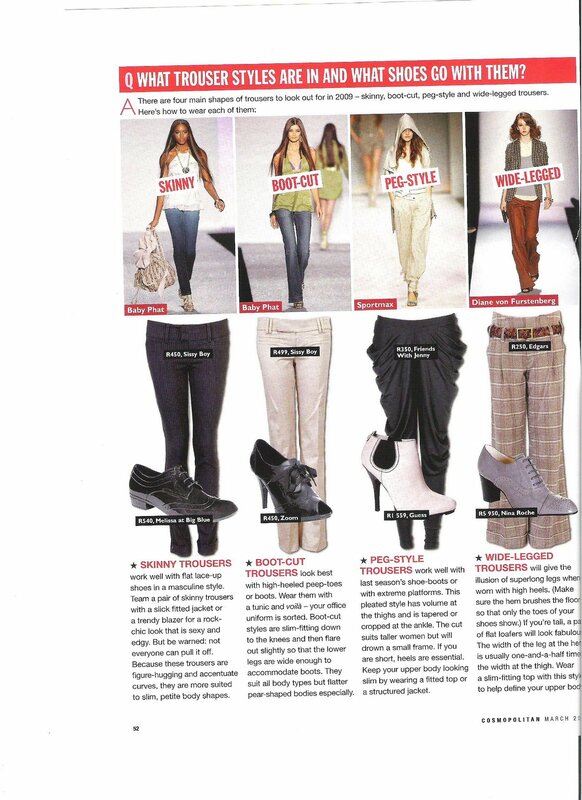 See my article on Style Scoop this week for all the dos and don’ts . The sport luxe trend is a huge one for the next two seasons. Not exactly gym wear, but chic, sporty looks in luxe fabrics! A BIG THANK YOU to all of you who came through to the open days last week! It was a fabulous turnout and a really successful couple of days! And I’m sure you will all agree that the clothes on offer were really awesome and something entirely different to anything you’d find in any mall. I cannot believe that it’s March already! I hate the descent into winter, the darker mornings and that chill in the air, although I do look forward to boots and jackets and layering! And if Europe’s winter is anything to go by, our winter could be a cold and long – not a pleasant thought! On a happier note, amazing jumpsuits and the most flattering satin pencil skirts now in stock! Leggings, scarves and other essential layering items just unpacked! Loads to choose from, just in time for autumn! Summer stock is still on SALE! REDUCED BY 45% What a bargain! StyleCandy this week features the amazingly versatile infinity scarf, a winter winner! StyleCandy this week is all about how to do versatility, handy tips and all. These drape pants (bottom centre) have been extremely well received and are actually really flattering…so ladies you just need to get over the unconventional shape and style!